Mothers face unique challenges when it comes to raising and providing for their children. Traditionally, we have been the ones to stay at home, taking care of the children, tending to housework, and cooking every meal. At about the halfway point of the last century, all of that changed. We started going to work for a number of reasons. Some of us wanted to increase our household income. Some of us wanted the little bit of sanity that comes from working outside the home. Some of us were single mothers who had no other choice, even if we enjoyed our job. But the biggest reason that we entered the workforce was that we could. Even though it's been over half a century since this change happened, we still battle with traditional gender roles, the desire to provide and become great at our industry, and, unfortunately, each other. It seems like no matter which decision we make, whether it's to stay home, go out and work, work at home, or some combination of the above, we are ridden down with guilt. If we stay at home, we feel guilty for not providing. If we work, we feel guilty for not making more time for our kids. If we work at home, we struggle to find balance and put our full attention on one thing or the other. We judge ourselves because we're not doing it all perfectly. We judge others because they are choosing a different path the one we have chosen. Guilt: My house isn't sparkling clean. I'm a horrible housekeeper. Replace with: There's dirty dishes in the sink, but I'm choosing to spend my time fostering a great learning environment for my children. 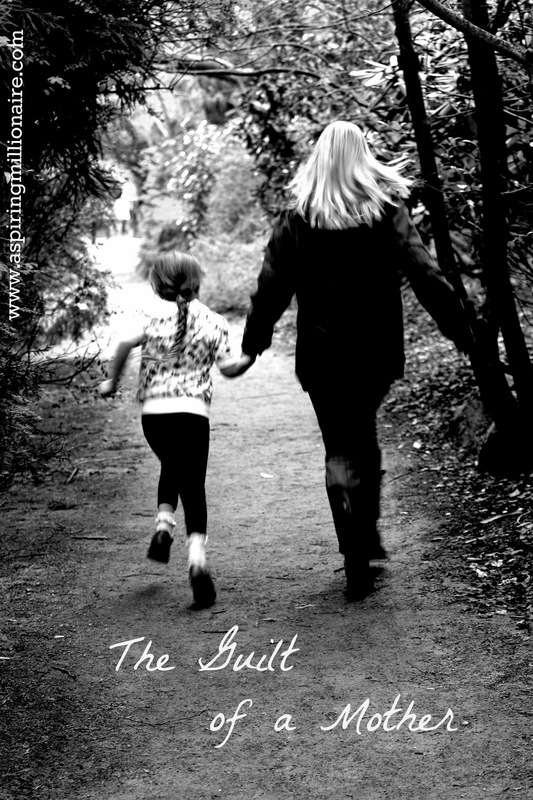 Guilt: I spent time away from my children today fulfilling my personal goals. They must feel neglected. I'm selfish. Replace with: By fulfilling my personal goals, I am allowing myself to be a whole person. I'm setting a great example for my children. I still take time to nurture our relationship, but taking time for me is a positive thing, too. Guilting Others: The lady next door stays home with her kids. Doesn't she understand that contributing to the family coffers in this day and age is a must? Replace with: It's so admirable that their family can budget well enough to have someone stay home. It takes a really special person to spend the entire day with kids without losing their sanity. Though her goals are different from my own, they are not lesser. Guilting Others: My son has a friend whose mother works during the day. Doesn't she understand how important it is to have children raised by their mothers, not nannies? Replace with: It's so amazing that she can balance work and family. What I'm doing is important to me, but I'm glad she's found a way to make things work for her family and fulfill her dreams. Though they are different from my own, they are not lesser. Guilt: I'm just not good enough to handle all of this. Replace with: Nothing in anyone's life is 100% perfect. I'm working hard, and doing the best I can. There might be a lot going on, but I'm handling it. That in itself is remarkable. I am good enough. I am remarkable. There will always be something to feel guilty about. There will always be some aspect of our lives that is imperfect. But if we look around us, we will notice that there are so many things we are doing right. There are so many opportunities to take pride in ourselves. And there are so many opportunities to let those around us know that we think they are rocking it, too. What's something you feel proud of today?